Looking for Investment Property Cash-on-Cash Return? – Investors ALERT! Grand Rapids Nation’s Top-Best City for Investment Property Cash-on-Cash Return. 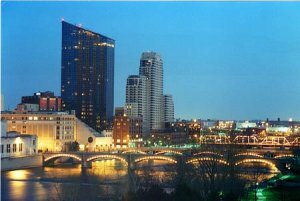 Recently Grand Rapids, MI has been identified as the #1 market nationwide for acquiring rental property. See the latest article in the Seattle, WA biz journal by clicking here. All Property Management (APM) further gave the city of Grand Rapids, MI the top ranking score “primarily due its very outstanding increase of property value year-over-year. It has a very exceptional increase of 6.65 Percent of its property value in 2015. 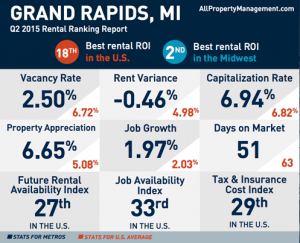 APM also awards Grand Rapids, MI as the Nation’s top ranking city for rental property investment due to its shocking low number of percentage for vacancy rate. According to APM’s Q2 2015, Grand Rapids gets only 2.50 Percent vacancy rate and is considered as the fourth- lowest in the country during the period. Due to APM’s latest 2015 report, more and more investors, developers are building or have shown interests of building apartments, condo units and other rental properties in the West Area of Michigan more particularly those that are close in the city. As a quick recap, the article references the best cities nationwide to acquire income property for cash flow. Check out our inventory (click here) of rental properties in Grand Rapids, most of them priced at ONLY $30,000 to $40,000, with potential rental Income of $800 to $1200 per month. Click here to be notified when additional properties become available.